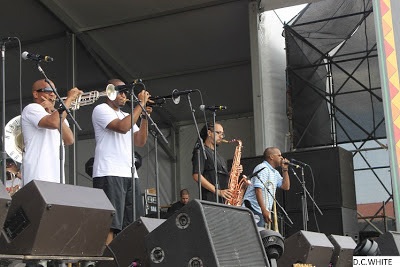 The Rebirth Brass Band is one of the most innovative bands of our time. They combine R&B and Hip Hop with the brass band music as we know it today, while keeping the rich, heritage sound of the New Orleans culture. 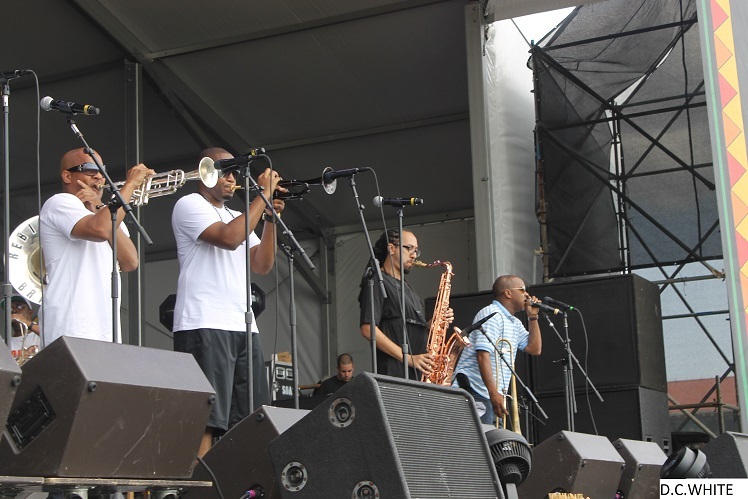 They bring a new concept of second-line music to the younger generations and are considered pioneers just as their fore-fathers, the Dirty Dozen Brass Band, the Olympic Brass Band and many others who paved the way for this distinctive sound. 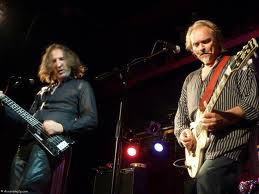 The Frazier brothers, Phi and Keith, formed the band back in the early 80's while attending Joseph S. Clark Senior High School. Both brothers were members of the high school marching band. Their love for music and the city of New Orleans is the foundation for the Rebirth legacy. Many other bands have organized and play Rebirth's style of music which shows the great love that people have for this band. In fact, Rebirth won their first Grammy in February 2012 and the entire city celebrated with them. If you ask anyone what that feeling was like, the response would probably be, it felt like winning the Super Bowl all over again. Before hitting the stage at Jazz Fest on April 27, 2013, I had the pleasure of speaking with Phil Frazier who expressed his gratitude to the city and fans everywhere for all the love and support. When asked how winning a Grammy has changed their lives, he states that Rebirth is still the same band that many fell in love with 30 years ago and they just get better with time. After the Jazz Fest performance, I had the opportunity to speak with Keith Frazier and he assured me that the Rebirth Brass Band intend on being around for another 30 years. If not out on the road touring, you can still find Rebirth playing at local events, parties, weddings, etc. in the New Orleans and surrounding areas. "Hey don't go no where, Rebirth's here to stay"! D. C. White is a contributor for Conversations Magazine and the founder of History Records and Entertainment. White also serves as a Producer for "Conversations with Cyrus Webb" televisions how. You can reach him at dwightcalhoun@hotmail.com and find out more information about him at www.dchistoryrecords.com. I think we can all agree that we live in a world where we expect things quick, fast and in a hurry. Technology has opened up the world to us in a way that many some 25 years ago couldn't have imagined, and with that comes added pressure to keep up. I've felt it, and I know you have as well. You don't want to be left behind, but how do you stay true to yourself in the process? 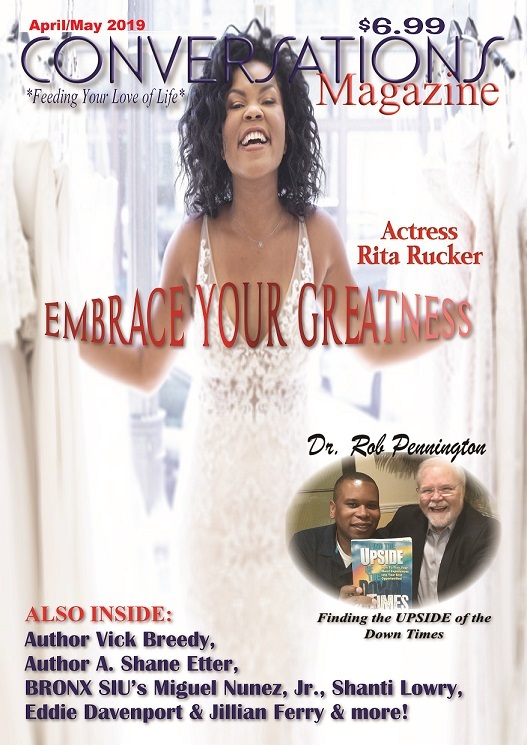 In this issue of Conversations Magazine I have the privilege of sharing some powerful examples of how to do just that. The very idea of Change evokes an evolution, and though it might take time we can begin to start today becoming what we want and going for what we want. Many of you made resolutions at the end of 2012 or the beginning of this year about what you wanted for yourself. Did you become discouraged and give up on the idea that you can be a better person? If so, I hope the individuals profiled here will show you the value of getting up when you've been knocked down and not to be defined by a perceived failure. This issue speaks to me as well. I know what it's like to enjoy the highs of life but I am not immune to the lows,either. Just a few years ago I wondered if it was all worth it. When I realized that I was judging success on what others thought instead of my own personal beliefs it become clear what I need to do in order to move forward. I had to renew my belief in myself and why I was here. As an individual of faith I have come to realize that God created everything for a purpose. That purpose is not for others to always understand, but it is one that we have to be able to embrace in order to see it work in our behalf. 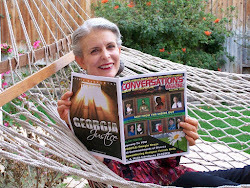 As you look at yourself as you read this issue of Conversations I hope you will ask yourself how can I begin anew right now? That question will help you in embracing who you are and more importantly who you were created to be. Want to share your thoughts with me about how you are becoming a new creature? Drop me a line at cawebb4@juno.com. I would love to hear from you. 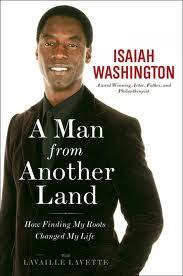 Isaiah Washington has come to the attention of the world because of his skills and talent as an actor, but his work as a humanitarian and a good citizen are seen front and center in A MAN FROM ANOTHER LAND. This book caught me by surprise in a few ways, mainly because of all of the things he could be doing with his time, something within Isaiah made him want to look into where his lineage began, which took him to Sierra Leone and the Mende people. His journey didn't stop there, however. He also want to see what he could do to help a people that are sometimes forgotten in the worldwide dialogue about disparities and where the most work can be done. The lessons we can glean from Isaiah are many. First there is the example of just wanting to know who you are, where you are front and what it took for you to reach the levels that you have in life. There is also the issue of doing all you can in the space that you are. Sure you might not be able to do the things that Isaiah was able to to help the people of Sierra Leone, but we are all in a position to make a difference however we can in our own way. Finally there is the importance of realizing how no matter where we live there is much more that unites us than divides us. If we are able to do like Isaiah and pay attention to the lessons that others can teach us through their own dedication and desire to persevere, then we will be in a better position to evoke real change in the world around us. Thoughtful and written from a place of real reflection, A MAN FROM ANOTHER LAND shows us how to connect, encourage and inspire. Cyrus Webb is a top Amazon.com reviewer. A MAN FROM ANOTHER LAND is available through online retailers and can be order wherever books are sold. I have to say after interviewing over 3700 over the past decade that Amy Hanley is one of the realist individuals I have ever had the privilege of interviewing. Many have gotten to know her from the hit show on TLC Sin City Rules, but I learned through our conversation that there is so much more to her than what might meet the eyes. Hanley is beautiful, thoughtful and without a doubt a businesswoman that knows what she wants and isn't afraid to go after it. In fact during our interview she told me she was 'owning 2013', and I have no doubt about it. Hanley and I were introduced by Lindsey of Cinderella's Glass PR, and it was an inspiration conversation about moving forward in life in a positive more powerful way. In the first five minutes of the conversation she surprised me with this confession: "I actually don't watch reality TV, Cyrus. When I decided to do the show (Sin City Rules) I wasn't too familiar with the territory I was getting into. It was absolutely a roller-coaster ride, but when it was all said and done I think we all enjoyed ourselves. It was a lot of hard work and dedication and real moments." Since it wasn't something that she normally watched, an obvious question I had was why she decided to open her life up to the world this way. For Amy it was about claiming her life. "I think a lot of people have associated me in the past with being the daughter of not one gangster but two," she explained. People see a very dark side of the life I've from. They don't understand there is a whole different aspect to it. I chose at eighteen not to go down the path of some of my family. Because of that I don't see my past as a downside. I see it as an advantage that made me stronger." Part of the way Hanley has found strength is through her online community. I called them her fans, but she sees them another way. "I never look at any one as fans. I look at them as friends. I do relate to them and they to me. I've been through the bad times and the good times. I like to remind them that there's always a way to get out of it (bad times) and bring yourself above what you are going through. They come and share their stories. In all aspects it gives an insight into who we are regardless of what our past consists of." Outside of those she sees as her friends online are those who will use the platform that is the internet to criticize and judge. Hanley called it the Public Opinion Court. "It's been an adjustment,"she admits. "I've been so used to keeping things private. I know, though, that you have two choices: allow people to either take you down a negative path or you can take a look at it and take a positive path. I have a saying: 'Negative lasts for 5 minutes. Positive lasts for 5 lifetimes.' I choose to look at the positive aspect. that's what I do for myself." Through that outlook on life Amy Hanley is quickly building an empire for herself. It is something all her own. "I want people to understand that everything I work on I put my everything into. I do it on my own. I don't look at myself as a reality TV star. I just happened to be on a TV show where my life was featured. I have the same triumphs and failures as everyone else. It's all in how you handle it. If you look at everything from a negative aspect you will always end up with failure." The lessons that Amy has learned she is eager to share with all of us. "We have to own up to our own behavior and actions," she told me. "It's about the decisions that you make that define who you become." Her message to you: words have power. Words matter. Want something? Hanley has the answer. "You have to be willing to speak it into existence," she explains. "My goal is to empower people, not to destroy them." Having a day or a bad situation? Don't let it defeat you! "It's ok," she says. "It happens to the best of us. There is always some form of positive in every situation. That is the way I choose to look at life. I want to take people on a more positive approach. We would have a better place if more did that." To stay in touch with everything going on with Amy Hanley and her growing brand follow her on Twitter at www.twitter.com/realamyhanley and visit her Facebook fan page at www.facebook.com/mobdaughter. in the almost 10 years since I have been professionally interviewing individuals there are moments when I have those "pinch me" times. 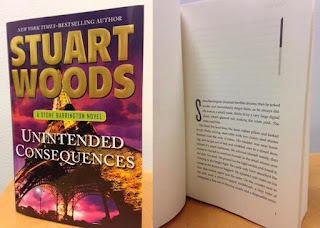 Talking with bestselling author Stuart Woods has always been one of them. I first interviewed him almost 6 years ago now, and I will never forget the first time I wrote him and how quickly he responded to the request. He is not just one of my favorite authors to read, he creates some of the most memorable characters and storylines as well. Through the Stone Barrington series we have seen the best and worst of mankind on display, but the writing is always superb. This year Stuart is celebrating the release of two books Collateral Damage and Unintended Consequences, and both will have you racing through the pages to see where he will take us next. In this conversation we run down his career and what he has to say to his fans. Mr. Woods, thank you once again for your time. Looking back over your career one of the questions that immediately comes to mind is about your relationship with words. Have you always found it easy to tell a story? The way people read has changed a great deal over the years. What are your feelings about how the general attitude of books seems to have shifted over the years? 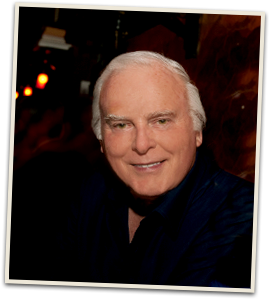 You can stay current with all things Stuart Woods at www.stuartwoods.com. When Wang Chung announced their album TAZER UP! some might have questioned their place in the music world after so many years. After hearing the single DANCE HALL DAYS, though, there is no doubt that these guys not only still love music, but they know how to still deliver it as well. I had the opportunity to interview Jack Hues of the group about the album and the single and he shared how much fun it was to not only give their fans something new but add their own flavor to the music scene. Wang Chung came out of the post-punk, New Wave scene in the UK going on to achieve global success selling millions of records. Throughout their 30 year career they have released 5 albums and 2 Greatest Hits compilations. They have had 6 US Top 40 hits including a number 1. In the process of all of this (and somewhat unintentionally), Wang Chung became part of the contemporary culture of North America. Their huge smash ‘Everybody Have Fun Tonight’, with its now famous line 'Everybody Wang Chung Tonight' saw the invention of a new US verb; 'to Wang Chung'. There are several stand-out tracks on Tazer Up!, but I have to say that DANCE HALL DAYS will be one of those songs you can dance to in the clubs as well as bop your head to when sitting at home or in the office. Definitely a track that delivers a great beat. You'll be hooked. Find out more information about Wang Chung and the new project at http://www.wangchung.com. In life we are faced with difficulties that test us beyond what we might feel as though we can bear. At that moment of the trial we can decide to give up or to put up a fight. For Mississippi native Dana Hampton giving up has never been an option in life, even when in 2012 she discovered that she had cancer. "I was totally shocked," she told me during our conversation about her ordeal. After going to the doctors because of some difficulties she was having, it was discovered that she had a four pound tumor, was anemic and had cervical cancer. "When you first hear cancer you get worried, but my faith in the Lord is so strong I knew not to worry. My mother instilled in me that we don't worry about anything. We have to tell the Lord that we can't deal with it. You then have to pray about it and be through with it. Don't let it control you." Instead of allowing Cancer to rule her life and the way she lived, Dana chose to live beyond cancer, thinking of what was important to her and what mattered. It was a part of her, but not the way she would allow herself to be defined. Dana has learned a lot through her cancer scare, and a great deal of it has to do with education. "If I had gone in to get my regular check-ups things could have been detected earlier," she says. This has led her to share her story and encourage women to make sure that they are going to their doctors and taking care of themselves. When I asked her about what got her through this ordeal, Dana says a strong support system is a must. She had her mother, daughter and friends. For those who don't have anyone to turn to, she offers herself as an example. "You have to take care of yourself. I didn't. 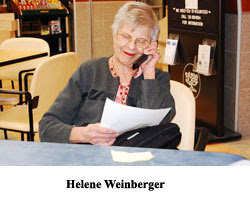 If I had taken time out for myself all those years things wouldn't have gotten out of hand the way they did," she says. Dana shares my belief that everything happens for a reason, and when discussing her previous health issues she says that maybe this opened the door for her to inspire other women and even men to take care of themselves. It doesn't does inspire me. 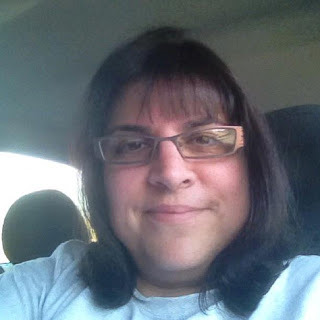 Stay in touch with Dana at https://www.facebook.com/dana.y.hampton or https://twitter.com/italiansongbird. Do you remember dreaming that one day you would be a great writer, painter, or composer? Do you remember wanting to invent a remark­able new product, pitch a perfect game, find the cure to a debilitating illness, rally the troops to save the day, become a great actress, enter the courtroom to right an injustice, or throw your hat into the political ring to make a difference? Do you remember dreaming of bringing a brood of children into the world and raising them with incredible amounts of love and consciousness? Do you remember wanting to play music or sing melodies that issued from your heart? Do you remember dreaming of being a coach or a teacher, a dancer, choreographer, cook, carpenter or fisherman, an astronaut or mountain climber, a religious or spiritual leader, a humanitarian or a healer? Perhaps in your case, you did not know exactly what you wanted to do with your life, but you felt a longing you could not put a name to, a restless tug to do something more and different than others around you were doing. Perhaps both of these things were and still are sometimes true for you - specific longings to do or express yourself in a given way or a restlessness that issues from not knowing quite what you want to do or how. If this is true for you, then we invite you to spend a few moments with us exploring the possibility that the next stage of your journey not only can be more satisfying and rewarding, but also more in alignment with the dream you came here to manifest. The first step we recommend in this exploration is to take a little time to be alone, a little time to listen to some of the hints and promptings that come from that "still small voice" within you. If you are willing to take this first step, we believe you will soon discover that this longing, this dream that you once had is still very much alive inside you. We also believe you will discover that by directing your attention to that place where your dream still lives, you will either rediscover or discover the beginning of a pathway that can - no matter how old or young you are - lead you to live more of the life you were born to live. Our personal experience confirms the fact that when we are in touch with our personal dream and stay true to its call - stay true to what is called our destiny - we are not only more creative, impassioned, and energetic, but we are also more involved in our own lives, connected to others and in tune with the natural rhythms of life. When we are in touch with our dream we are also more concerned about the well-being of others, this planet and all of the species that reside here. In short, in our experience being in touch with our dream is an essential key not only to living more con­sciously and aging wisely, but to fulfilling what we call our spiritual promise or heritage. For more than 30 years we have been experimenting with and testing this premise not only in our personal lives, but through our work with hundreds of major organizations and with thousands of individuals who have attended both our organizational and public programs. During this time we have come to verify that those who are in touch with and living even portions of their dream are more content, impassioned, engaged, loving, health and successful. In addition, following the call of our dream is not just important to us as individuals, it appear to be equally essential to the grand scheme of things. Yes, our dreams hold a blueprint for a unique and successful life, in fact for the precise life many of us long for and believe somewhere in our hearts is possible. And yet it may not be and often is not the life we are living. We could, of course, spend months exploring why this is true. But in the end, we believe what matters most is not why, but what we can do to correct this misalignment. Our exploration indicates that this blueprint is often as close as the longing we feel our hearts. Indeed, we have discovered that it doesn't matter whether it has been days or decades since we have last paid any attention to our dream, it is always there, literally as close as our next breath. If you have been faithful to your dream you know this to be true and we applaud and celebrate your efforts. But then again, our applause is unnecessary for you already know the value of the journey that was written indelibly in your heart long ago. If you have not yet been as faithful to your dream as you have wanted to be then you also know or, at the very least, sense that what we are saying is true. For we know that you, like us, periodically receive, sometimes quietly, sometimes insistently, those whispers, prods, prompts, and even demands that you to pay more attention from that "still small voice within." So here in this moment we invite you to pause and take a little time to touch that place in your heart where your dream still resides. We ask to get quiet enough to hear what that "still small voice" is saying so that you, too, can once again regain that glint in your eye, that spring in your step and that flow of loving that is not just a possibility, but your right and privilege as a spiritual being who is currently having this physical experience called life. Indeed, no matter what your experience has been - whether it has been the hot and dedicated pursuit of a dream that has been clear and compelling for a long time or whether you turn away and are now living with that restlessness, knowing that there was or is some­thing else, something you sense is more inspiring that you want to do - we invite you to lean back in your chair, close your eyes, and for just a few moments go to that quiet place inside you that is not limited by the boundaries of physical time or practical considerations. Please do not just read these last few paragraph and move on. Stop, take a few, slow deep breaths and give yourself the gift of getting back in touch with your dream. You will, we know, be deeply grateful to yourself for doing so. Indeed, you will be taking your next steps to honoring what the poet Mary Oliver has called, "this one wild and precious thing called your life." There are, of course, numerous techniques that can assist you to get in touch with this inner experience. Different forms of slow, focused breathing; various reflective and meditative practices; the use of mantras and simple phrases spoken on the out-breath and the in-breath; a walk in a favorite woodland; a run along a wild and beautiful beach; moments spent gazing into the innocent eyes of your child or that remarkable being you are spending your life with. Any and all of these practices and a host of others will do. Indeed, whatever allows you to connect to your heart and be available to the guidance that comes from within you - anything that allows you to remember your dream, is perfect." Even if this first re-connection to your dream is only a vague sense, a hint of a direction, the barest impulse, or a fleeting image, allow yourself to glimpse it, sense it, feel it. But do not hold on too tightly or be disappointed if it does not materialize as a complete game plan for the rest of your life. Just let it unfold in whatever way is appropriate and for which you are ready. Just touch into that special reservoir of energy that is your dream and let it evoke in you the beginnings of a renewed sense of hope, purpose, and passion. And if by chance you find yourself suddenly feeling the impulse to blow the dust off those paintbrushes; open the cover of the piano or of your toolbox; or dig out that notebook you tucked away on the bottom bookshelf of a bookcase, that notebook that is full of ideas for that humanitarian project, that business venture, or that novel you once wanted to create, then go ahead. Truly, no matter how old you are or what you have chosen to do thus far in your life to earn your daily bread, if you give yourself permission to touch even the edges of that dream that lives inside you, we are confident that you will experience a sense of rightness, of alignment with something that is deeply familiar. Of course, you may also experi­ence some pangs of regret for not listening to that "still small voice" more often and listening instead to those who told you that you had to be reasonable and responsible, that you needed to find a practical and proven way to sup­port yourself, and eventually, perhaps, a family. But don't let that regret stop you from re-connecting to your dream. Just keep following the hints and impulses. Just stay in touch with that sense of alignment and naturalness and let it be your guide. How can you be sure you are at the right place, the place where your dream resides? You'll know. So welcome it. Be grateful to it for the fact that the light of wonder and longing is alive and well inside of you. You may also want to keep this reconnection private for a while. You know what they say about "protecting vulnerable beginnings." So hold it sacred and nurture it, and above all, be willing to allow these first moments, these new re-connections to grow stronger and come more alive inside of you. And even if you do not know where these first hints or images will lead you or how to bring them even more to life, let that be okay. The only thing that matters now is your willingness, your availability and openness. The only thing that matters now is that you honor this re-connection and allow these first stirring to lead you step by step toward that greater unfoldment of the life that you were born to live. So we celebrate your courage in taking these steps and leave you with a remarkable quote from Oriah Mountain Dreamer, the author of The Invitation. We also leave you with our sincere hope that you will also keep some of encouragement we offer and extraordinary words from this gifted writer close to your heart. And most of all, we hope you will celebrate the very distinct, special and unique notes that you and only you have to come to this earth to add to the great song that is life. "It doesn't interest me what you do for a living. I want to know what you ache for, and if you dare to dream of meeting your heart's longing. It doesn't interest me how old you are. I want to know if you will risk looking like a fool for love, for your dreams, for the adventure of being alive." While keeping my cool, I reminded this individual of how in the last fifteen years there has only been a twelve month period were I was without employment. The thinking of this individual is very much reflective of how numerous Americans view employment. Self-employment for many is viewed as risk taking, less productive and foolish. And if you happen to be in the ARTS (Actors, Writers, Authors, Painters, Sculptures, creators of music…etc) you are viewed as just killing time, indulging in a hobby, being lazy or not living up to your fullest potential. My belief is that we are all here on ASSIGNMENT from GOD. HE has blessed each and every one of us with various gifts and talents. However, there is an assignment that you were sent here to share with the world on some level. Being the imperfect humans that we are, we place a value on each assignment but to God there of equal importance. Think about this, some assignments may produce enormous wealth yet; no tangible wealth is attached to the assignment of others. However, they share equal value because the assignment comes from our creator. Now when I say assignment, I’m referring to something very deep. You see, I connected with mine in the 7th grade. As a teen, I was fascinated with language and spent countless hours playing with words. It was in my 7th grade English class that my teacher assigned a lengthy creative writing project. The entire class was bombed but I was thrilled. I started thinking of words I could use to impress her. And that I did. I came to understand as a 7th grader that regardless of my many life accomplishments; my assignment from GOD was to bring about enlightenment and a sense of empowerment with my written words. Regardless, if the assignment generates minimal income or enormous wealth…the Power housed in the assignment is not reduced. Reflect on this: If Writers and Authors put down their pens and turned off their lap tops, how would our world be directly impacted? How would your life be impacted? With out doubt you could forget about watching your favorite television shows, going to the movies; reading books, magazines and news papers. And let’s not forget about purchasing or down loading music. Also time spent at the theater and your local art galleries would cease to exist. So much of what we authors and writers do directly impact your life in ways you take for granted. A word of advice from a writer on assignment…you may never comprehend the assignment of another because it’s not for you to grasp. GOD is not that simplistic. However, invest time in connecting with your own assignment. And when you make that connection, you will come to understand that true wealth and power is measured by something more profound than dollars and cents…it housed in each step traveled in ones journey!!! We Writers, Authors, Actors and Music creators ROCK!!! 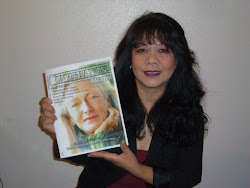 Mary E. Gilder is the author of the award winning novel; A Misrepresentation of Myself. And her upcoming release, Even a Man Can Have a Broken Heart. Visit her website at: www.maryegilder.com, email her at: bookclubs.maryegilder@yahoo.com or join Mary on face book and Twitter. TIP: The hardest part about making this fresh and flavorful pancake is turning it over from fruit-side up to fruit-side down so that the fruit side of pancake can cook in the pan and then turning the pancake back to fruit-side up to serve on a plate. But, no problem. The step-by-step directions below will explain how to make those turns as easily and safely as possible using either a pan top or large plate. 2. Stir vigorously with either a fork or a whisk until the batter is evenly mixed (there’s no need to get rid of every lump). 3. Put the pan on the stove, and turn on the burner to LOW-MEDIUM heat. 4. While the pan warms, rinse the apples in the sink, and shake them dry. Cut the apples in half lengthwise, and cut each apple half in half again. CAREFULLY remove the core from each apple quarter, and finish by cutting slices about ¼ inch (6 mm) wide. 5. Check the frying pan for the proper cooking temperature by running cold tap water on your fingers and flicking the water onto the pan surface. The pan is warm enough to cook when the water evaporates with a sizzle. 6. When the pan is warm enough to cook, add a ¼ - ½ inch (6 – 12 mm) slab of butter or margarine to the pan. Then swirl the butter or margarine in the pan by rolling your wrist until the pan surface is evenly coated. 7. Pour all the batter into the warm pan, and give the pan a quick back and forth shuffle to ensure the batter covers the pan surface evenly. 8. Top with apple slices until the batter is evenly covered. 9. Cook for 5-7 minutes (or longer) making sure the butter or margarine barely bubbles. (If the butter or margarine bubbles vigorously, turn the stove heat down until the bubbles barely foam. If the butter or margarine doesn’t bubble at all, turn up the burner heat until it does.) Give the pan a back and forth shuffle every few minutes to ensure the pancake stays loose on the pan surface, and then check the pancake bottom for doneness by sliding a spatula under and lifting up a corner of the pancake - the bottom is done when it is lightly browned. 10. When the pancake bottom is lightly browned, use a spatula to transfer the half cooked pancake either to a large pan top or a big plate. Add a ¼ inch (6 mm) slab of butter or margarine to the top of the pancake. Cover the pancake with the pan, apply enough pressure with both hands to keep the pan snuggly in place over the pancake, and maintain the pressure while turning both hands as a unit whether you’re using a pan top or large plate so that the pancake is now fruit-side down on the pan surface. 11. Cook for another 2-5 minutes, making sure to shuffle the pan once or twice to ensure the pancake doesn’t stick to the pan bottom, until the pancake feels firm to the touch. 12. Cover and turn the finished pancake fruit side up using either a pan top or plate. batter is firm throughout and not runny or soft and sticky. If however, your pancake batter is still slightly soft and sticky, put the pancake back in the pan fruit-side down, and cook it until the batter is firm throughout. 14. 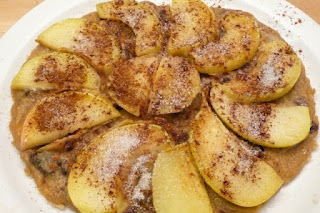 Finish by sprinkling the pancake with ground cinnamon and sugar to taste. 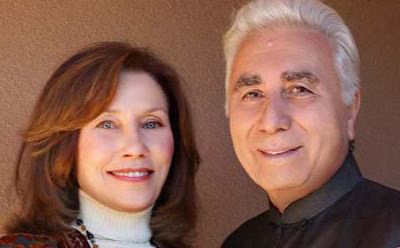 For more cooking tips and recipes from Bruce Tretter visit www.gotta-eat.com. Mr. Victory, we are excited to feature you as a member of the League of Distinguished Gentlemen Club. What are the current businesses that you own and briefly describe each one? Focus is on talent management, development, promotion and branding. This is the management side of the company structure. Talent currently represented by the Stars of Victory Entertainment Group, range from Actor's/Actresses', Model's, Artist, Comedian's, and will be moving toward the representation of Athlete's by late 2013. -Phase 7 Media Group Inc. This is the recording and production side of things. Focus is on the production of music, film and media technology. Phase 7 Media Group Inc., is currently in negotiation of expanding the brand and introducing Mr. Travis Miller; Grammy Award Winning Producer of the Grammy Award Winning Production Team, the Trackboyz, out of St. Louis, Missouri. Phase 7 Media Group, will be releasing talented and soulful, Ms. Ebony Wade's, long anticipated debut album in December of 2013. Phase 7 Media Group Inc., will also be producing several superstar artist to be announced later this year, and are currently in negotiation with a Grammy Award Winning music legend, to expand the companies music production and international presence on the music scene. This merger will be a merger of the times, and public information will be available once all details are finalized and both companies have cleared the announcement for press release. 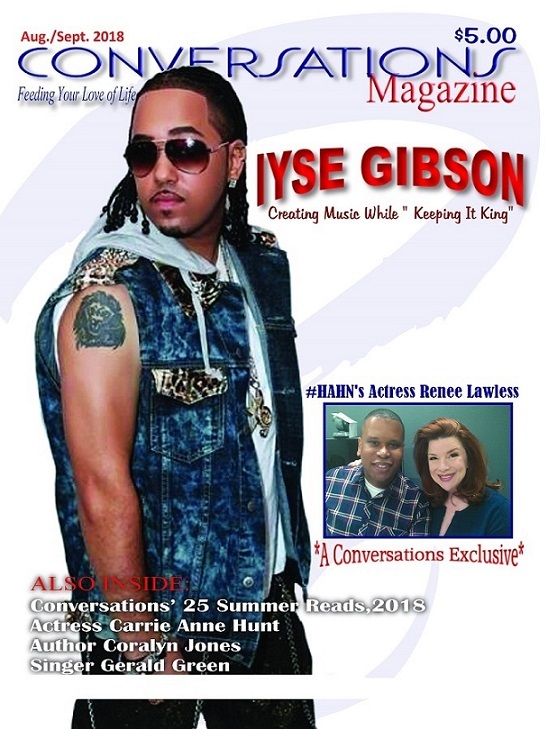 Phase 7 Media Group Inc., will also be releasing several films; to include, New York Times Best Selling Author, Omar Tyree's best selling book, now coming to a theater near you, Leslie. Leslie, is one of the many master pieces by the dynamic author, and one of many of his books which will be released as movies from the author's very impressive collection of best selling books. Phase 7 Media Group will be a powerhouse in the music and film industry for years to come. The company will also be introducing several advances in music and film technology and announcing all artist, tour and film releases in the months to come. This is a company which consist of a group of investor's whom I personally hand picked, to be a catalyst of funding to my companies, non-profit organization's, investment opportunities and other business ventures. This group is by invitation only and we often entertain outside business in investment opportunities, such as: Gold, Silver, Platinum, Bronze, Oil, Petroleum, Natural Energy and Technology, Real Estate, Fashion, Music, Film and an array of other domestic and international business opportunities that may present itself from time to time. This group is considered a Private Equity group which specializes in top level business on the domestic level and international level. The group has hired trusted professional's who are licensed in their chosen fields to carry out very complex business transaction's and structure business that the group may deem as profitable; or on many occasion's the group will look to Non-Profit and charitable work, to join in the efforts of making the world a better place for us all to live in. 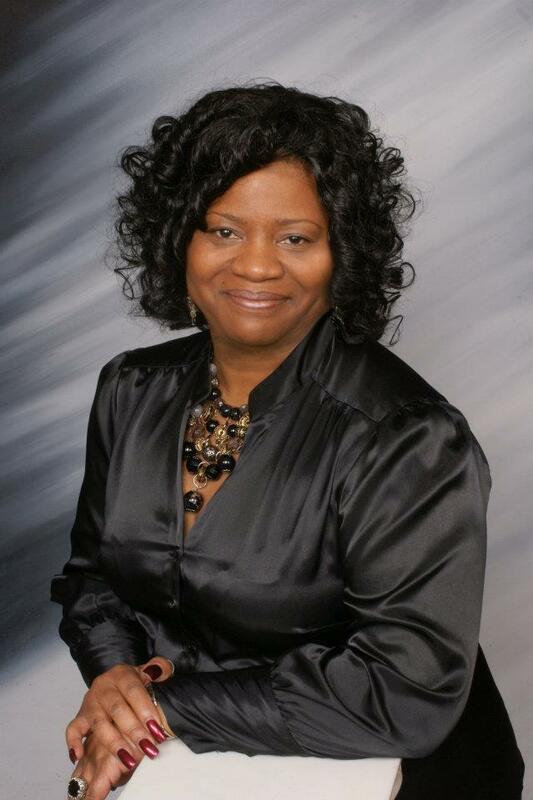 -The Willis Victory Family Foundation Inc. This is a Non-Profit Organization with a focus on my immediate family structure and the future of my companies and organization's; as well as, a foundation for families in third world countries and Urban America, to have the opportunity to receive an education, apprenticeship and funds to enter into the world of entrepreneur's. The motto for the organization is: "United Dynasty." The focus is to move families toward their passion's and dream's together, using the force of unity to achieve insurmountable success, even against the most difficult of odds. -The Willis Victory Winner's Circle Foundation Inc. This is an organization with a focus on youth athletic programs, mentorship programs, education and performing arts. "Expect Nothing Less Than Victory," is the motto of the organization. The organization places an emphasis on passion, desire, faith, vision, belief and never giving up on your dreams. The Willis Victory Winner's Circle Foundation Inc., will be holding several events, charities and fundraiser's to support the mission of the organization. The organization thrives to develop healthly children by consistently focusing on the mind, body & soul development of each child. The organization plans to build recreation center's; performance of the art's center's and boy's and girl's club's across Urban America. The organization believes through consistent development and very careful - focused attention to the youth, will bring about a better world for everyone to live in; great leader's, who will genuinely love and care for one another. 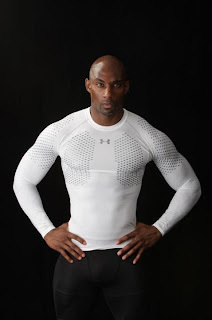 - This is a clothing line where I am a partner of fellow Actor, business partner and entrepreneur, Mr. Kenyon Glover. League of Distinguished Gentleman is more than a clothing line; it is a fashion empire, which represents: Love, loyalty, respect, peace, style, class, elegance, good living, top-level and the spirit of all future and present champion's; who strive to get the best out of themselves and life everyday in every way. The spirit of hard work and the living of one's dreams and passion. An international fashion brand that makes a statement to all of what it truly means to distinguish oneself. League of Distinguished Gentleman, is a league of its own; the gentleman who celebrates his uniqueness and expresses himself the way only a true gentleman knows how to. We are very excited for the introduction of our Spring and Summer lines. We will also be announcing the release of several of our other products and accessories. Stay on the lookout for, League of Distinguished Gentleman clothing and product's coming to a store near you! When it comes to LDG, what are you guys hoping to achieve with it? And what does it take to become a part of the League of Distinguished Gentlemen? With League of Distinguish Gentleman Fashion Line, we are looking to establish a global brand recognition and a lifestyle. Something outside of the box, unique and a completely different level of fashion than the world has become accustomed to. An attitude, confidence, style, swagger; however, most importantly, love and respect. With League of Distinguished Gentleman, I feel that the whole concept is more about self expression, being the best man that you can be and taking life to unforseen plateau's and level's. League of Distinguished Gentleman to me is an elite class of men through hard work, vision and belief in their passion's and dream's in life, come together in expression lifting up the true essence of a distinguished gentleman. One of honor and respect. To be a distinguished gentleman one must be confident. Demonstrate self-respect, love, compassion, drive, determination and all of the other qualities that the great leader's and genious's throughout history have demonstrated. One must be focused and understand the discipline it takes to achieve excellence and mastery. To be a distinguish gentleman one must exemplify a tremendous passion for the practice and discipline it take to achieve true happiness and success in life. Tell us about the different adversities that you faced getting yourself and your businesses established and how you overcame them? Getting established in business one face many different adversities. The first thing you need to understand is that; no one is going to believe in you or anything you are doing, until you first believe in yourself. Like with any business or organization; start-up capital and funds are always in the discussion. What I learned, is that as long as I maintained enthusiasm for my passion, my dreams and what I was doing; all else seemed to fall into place. My faith in God and belief in what I was doing was and will forever be the catalyst behind any achievement or success. You will always have naysayer's and non-believer's. You have to make sure you surround yourself with supportive family, friend's business partner's and associate's. Always remained grounded and maintain a disciplined focus in your work. You have to do what you love to do or else it your enthusiasm will die. Enthusiasm and passion are key components to business. With these key component's one will gather the right kind of education, attract the right mentor's and endless opportunities. Proper preparation prevents poor performance. Always be prepared to turn opportunity into rewards. Most importantly; find yourself in service to other's and make sure you are happy doing what you are doing. 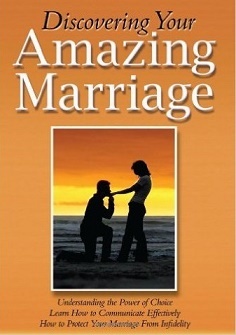 Tell our readers are you Married? Have kids? How is it being a husband and a father, especially having all the things going on in your life? How do you balance it? Is your family supportive? Married with children, yes. Being a husband and a father is a very powerful motivating force behind what I do. It was with that vision in mind that I set out to build an empire for my family and children. I am a musician, actor, businessman and entrepreneur. My wife and children allow me to express this passion through them, which makes for a very supportive cast. Being a role model and a positive influence in my son, Prince Amari Victory's life is a life long commitment, and something that I am very dedicated in striving for. Opening up a world of positive experiences, creativity, education, exploration, adventure, provision and protection are things are strive to lay down a foundation for my daughter's; Kylah Rae Victory and Aaliyah Victory. I meditate daily and maintain a very strong spiritual presence in my life. Keeping God first aligns everything in its proper place and with the support of my family and children; I remain grounded and dedicated to being the best man that I can be. 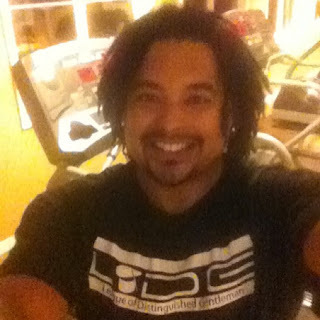 I keep a daily regimen at the gym and am a dedicated daily reader, always looking to evolve in mind, body & soul. Having a wife who supports and believes in your dreams is vital. There are and always will be ups and downs in life. You just have to know that you will come out a winner; however, this is not automatic... Faith, focus, discipline and always keeping your eyes on the prize will keep you going when you reach a valley and you inevitably will. Continued blessings to you, Mr. Victory. What advice that you could give up and coming business entrepreneurs.. The advice I would give to up and coming entrepreneur's would be, believe in the power of your future and dreams. Forever remain original and unique. Maintain a deep burning belief and passion towards your dreams. Use naysayer's (hater's) as fuel for your fire. They are very necessary in your quest to reach the epitome of who you are as a human being. Look for Willis Victory to be releasing an album and doing work in film this year. Stay in contact with League of Distinguished Gentlemen and more from our organization at www.kenyonglover.com and www.lodgclothing.com . 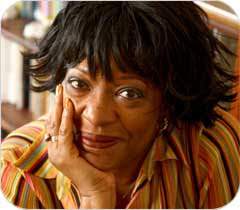 In 1987, Rita Dove’s chronological collection of poems “Thomas and Beulah” won the Pulitzer Prize for Poetry. What is instructional and needed are the very first words of the collection; “These poems tell two sides of a story and are meant to be read in sequence.” The two sides told are of a single love shared by two. And Dove bears the painfully ugly with the blissfully beautiful. The two points of view of the story or poems are encompassed in two sections: I Mandolin and II Canary in Bloom. If the reader does as directed and reads the poems in sequence, two lives will unveil into one love and one family. The two poems featured here give two perspectives of the same event. the pleasure . . .
to trot out the stars? all in a row. . .
wondering how did I get here. selling all for a song? as if it were melting. Hush, the strings tinkle. Pretty gal. and scent in a sky-colored flask. Not that scarf, bright as butter. Not his hands, cool as dimes. Dove masterfully allows the reader into two minds in the poems, and this creative prowess is extended throughout the collection. If a reader is seeking to escape into a shared love with its pains and joys then Thomas and Beulah will not disappoint. A poet has many tools: the sonnet, the ballad, the Haiku, rhyme, metaphor, allusion, but the hammer amongst these devices and structures is the theme – the message. The message is what drives the poem into the reader’s heart and mind. Haki R. Madhubuti’s work ‘Liberation Narratives’ is a collection of poems that will leave a reader’s head ringing and heart pounding from the hard hitting and thought prying themes in each poem. he was as good as they were. After reading Madhubuti’s ‘Liberation Narratives’ one experiences the writer’s deep love and commitment for and to his people. If this collection of poems was said to have a single motif, it would be the uplifting of a people. This is not one to miss, for any student of literature or Black culture ‘Liberation Narratives’ is a must have. Ever play tea party as a kid? Then you’re already an expert on the value of the shared meal. It’s about being totally engaged in the moment and with each other, even if the other party guests are imaginary. The tea may be make-believe, but the delight and wonder we bring to the table is real. Then we grow up. We have real tea and real food, but we have crazy, conflicting schedules, sky-high stress, work deadlines, demanding lives, and complete sets of emotional baggage. Our sense of joy and ability to be present isn’t gone for good. They can be coaxed back, and a shared meal is the way to do it. Eating together can be magical, but once you grow up, it takes planning. And patience. • Identify who you want at the table. Your spouse, since you eat in shifts? Your BFFs whom you text but don’t even see these days? Your sullen, texting teen? Put the word out. Try to get everyone on board (even the sullen teen). • Set ground rules. No food fights (unless you’re into that sort of thing). Determining who’ll do the dishes now will save resentment later. Cell phones and laptops and similar devices are not allowed at the table. We’re so busy, so plugged in, we don’t even know who we are without our gadgets handy. Here’s a brief and finite amount of time to find out. • Be flexible, too. Maybe you’re Food Network fabulous in the kitchen, but your child only eats plain pasta and your friend’s culinary prowess doesn’t extend beyond the microwave. Maybe you like to eat at 6:00 on the dot, but your friend can’t possibly get to you before 7:00. The meal is the incentive to bring people together, but it’s not the only thing. The goal is to have time to connect with people you care about, or people you’d like to know better (this may include yourself) and get something good to eat, too. • Schedule it. This may be the toughest part. It’s nice to dream about sitting down together once or twice a week. Start by setting an attainable goal. Shoot for one single sane and sit-down meal. When can everyone manage it? If nights are impossible, what about breakfast? Fifteen minutes with friends and family, fresh fruit and a pot of coffee can add sparkle to an otherwise dreary day. • Breathe. You don’t have to do it yourself. Host a pot luck. Have everyone bring a dish. Or create a meal together. We get lonely and frustrated alone in our designer kitchens. Elsewhere in the world, communal cooking is the rule. Get in a global frame of mind. Working together in the kitchen gets the conversation going. A bottle of wine doesn’t hurt, either. What you prepare can be as elaborate as making homemade pasta or as simple as tossing prepared pasta with your favorite sauce. Keep the talk (and the wine) going at the table over the dinner you’ve made together. • Add children. When kids have a hand in shopping for or preparing food, they’re more engaged and willing to eat something other than McNuggets. Caveat — children may not mix and add ingredients in a tidy or timely manner. Keep a sponge and a trash can handy, along with a sense of humor. Your kid will bring the sense of wonder. All will be well. This is not just about dinner, this is about connection. • Rediscover the child in yourself by tasting your favorite childhood foods again. Make a kitchen date with your mother, your auntie, whoever’s the keeper of the culinary flame, to learn how to make the dishes that bespeak home, comfort and celebration within your family. Ask about the history and people behind the recipes. You’ll bring your family together, preserve the flavors and memories of the past, and enjoy them together. • Invite others. Should family meals produce anxiety, go for the dilution factor. Having friends at the table makes family members behave better, and changes the dynamic and the conversation, too. In the course of the meal, you may discover things your own family has never shared. Your husband’s always wanted to go to Venice? Who knew? • No need to sweat over a five-course meal. A welcoming pot of soup works its own miracle. A rock star told me the most interesting conversations happen over food. I didn’t even know the man ate. The meal is nice, the conversation, the connection, the sharing is what really matters. Bring your most authentic self to the table, the way you did when you played tea party as a kid. That’s what makes everything delicious. We create celebration when we gather. More make-believe tea, anyone? Ellen Kanner is an award-winning food writer and author of Feeding the Hungry Ghost: Life, Faith and What to Eat for Dinner. She is also Huffington Post's Meatless Monday blogger and the syndicated columnist Edgy Veggie, is published in Bon Appetit, Eating Well, Vegetarian Times, Every Day with Rachael Ray, and Culinate as well as in other online and print publications. She’s an ardent advocate for sustainable, accessible food, serving on the Miami boards of Slow Food and Common Threads.